Hello dear foodies! 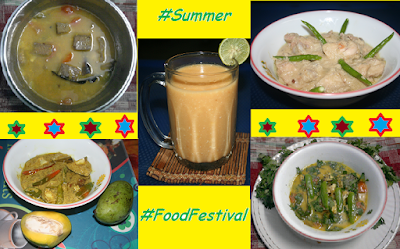 This week I bring again an authentic and special Bengali Dal-recipe in ‘Summer Food Festival’! Karela or Bitter-gourd is very healthy; also it is very good to eat in summer. Sometimes, we do not like to take it or children want to avoid it. 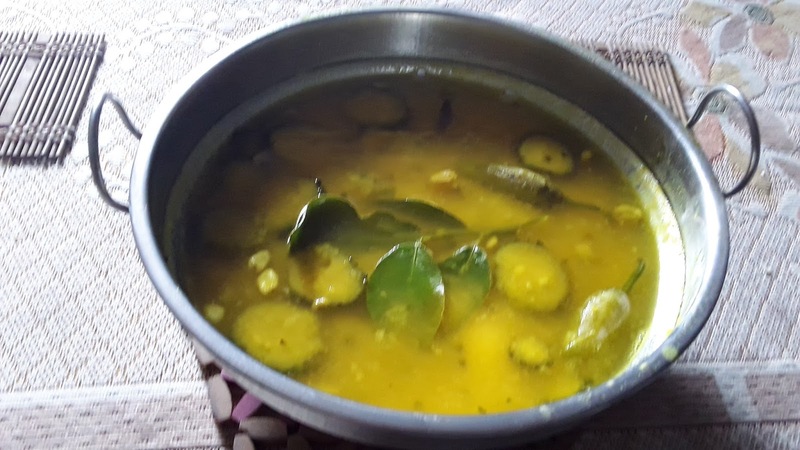 Cook this Dal with Karela’ I’m sure your family will love it! Try it and share your opinion with me. 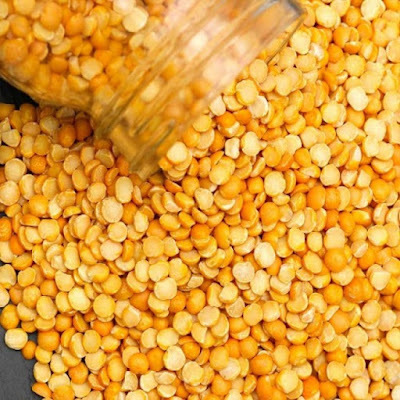 Let’s go to cook………..
Mustard Seeds: - ½ tsp. Boil the matar dal with salt and turmeric powder. Keep aside when it boils well. 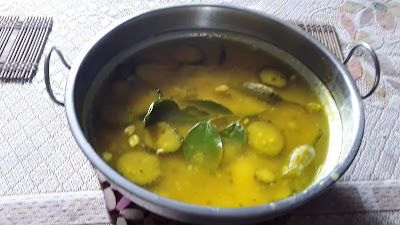 Slice the bitter gourds in ring and marinate with salt and turmeric powder. Heat Oil and add the bitter gourds. Cook until they become soft. Now add the mustard seeds to the same oil. When they split, add the boiled dal in it. 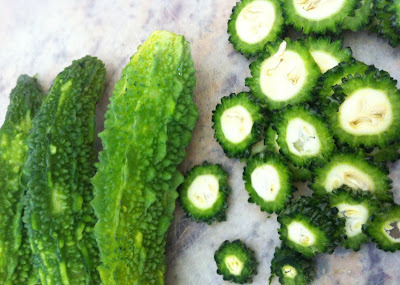 Now, add the fried bitter gourd, sugar, green chilies and mix very well. Add more salt if need. Take it off the flame when the dal becomes thick. 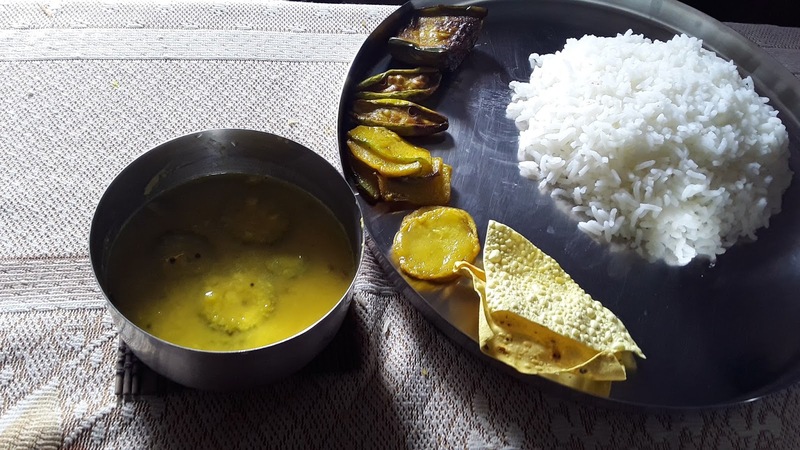 Serve hot with rice, fried eggplants and vegetable-curry. 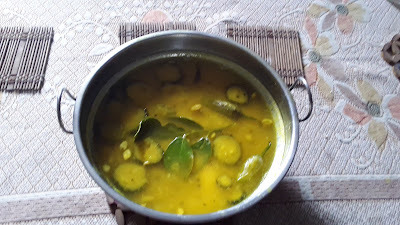 *If possible, add some leafs of Lemon tree, just after take off the flame and cover the dal for 5 min. Then take the leafs out and experience the amazing aromatic dal!